BLUES IN MY BLOOD the SPOTLIGHT ALBUM for MARCH from Tiffany Pollack & Eric Johanson. With rave reviews everywhere it was an easy choice this month. Here is what Rick J Bowen wrote and we agree with every word. 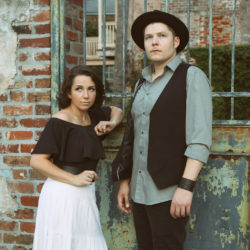 “There is a long tradition of vocal duos in country and folk music, with groups like Sugarland and Shovels and Rope continuing to see success and popularity with the formula. Tiffany Pollack, an acclaimed New Orleans jazz singer, and Eric Johanson (performing courtesy of Whiskey Bayou Records), former lead guitarist for Cyril Neville, have teamed up to bring that winning tactic to the blues and roots world on their new album “Blues In My Blood.” Eleven tracks of original and select standards showcase the depth of each one’s talent with a new collaboration that is fresh and natural. The Louisiana natives, who each have been building a strong career, met when Pollack was reunited with her biological family at 25, and discovered they are cousins and third-generation members of a musical family with a rich history. After years of the cousins’ mothers pushing for them to work together, the duo project has come to fruition for a very personal family project in celebration of the blues. Pollack then bravely steps into the shoes of Nina Simone, paying tribute to the jazz legend by digging deep into the classic ‘Do I Move You?’ with sultry finesse. The introspective ‘Slave Of Tomorrow’ is a heady dish of southern jam rock and the gently swinging blues ‘Get Lost With Me’ has a classic Memphis style that features a searing solo from Johanson. Pollack soars on the cover of Joni Mitchell’s ‘River,’ staying true to the original, while adding just enough of her own fire to put her mark on the masterpiece. The album’s finale is a gospel-fueled reinvention of the freedom song ‘If I had A Hammer.’ The duo trade verses and slow the tempo to allow in-depth focus on each phrase and emphasize the importance and truth in the lyrics written by Pete Seeger in 1949 in support of the progressive movement. Tiffany Ann Pollack was born and raised in the musical mecca of New Orleans, where she began singing as soon as she could talk. Although never receiving formal training, countless hours of her childhood and teens were spent at her parents’ old 70’s organ and later the out-of-tune piano they bought for her, writing songs by ear and singing very loudly. Her family’s annoyance never discouraged her from sharing the songs in her heart. Tiffany had her first opportunity to perform professionally when neighbor Russell Batiste learned that she could sing and invited her to sing backup with his band Russell Batiste & Friends. After several years, Tiffany formed her own band called Beaucoup Crasseux with some of the members of Russell’s band. In addition, Pollack begin singing in many other bands including Ph Fred’s The Round Pegs and The Consortium of Genius. Beaucoup Crasseux ultimately fizzled, and Pollack entered mortuary school. In the ensuing years, she was married, had children and focused on her mortuary career. After the birth of her third child, Tiffany left the mortuary business to focus on music fulltime. She developed a strong passion for jazz and eventually formed her own jazz band, Tiffany Pollack and Co.
At age 25, Tiffany gained new appreciation of the music in her soul when she was reunited with her biological family. Adopted at birth, the pieces of her musical puzzle became clear. Her mother, Margaret, plays bass and sings in a jazz band. Tiffany’s half-brother makes electronic music. Margaret’s sister, Frances, sings in a jazz band (and is mother of blues artist Eric Johanson). Frances and Margaret’s brothers are also performers. Tiffany’s grandfather owned a piano store and played clarinet. Her grandmother was a cellist, pianist and opera singer. Today, Tiffany performs regularly throughout New Orleans singing primarily jazz with The Dapper Dandies and her jazz band Tiffany Pollack & Co, as well as doing session vocals at The Music Shed Recording Studios in New Orleans. New-Orleans based Eric Johanson was tearing up nightclub stages in Louisiana with his soulful blues guitar before he finished high school. He has toured across the US and internationally as lead guitarist for the legendary Cyril Neville, Grammy-winning Zydeco artist Terrance Simien, and performed onstage with Tab Benoit, JJ Grey & Mofro, Eric Lindell, Mike Zito, Anders Osborne, the Neville Brothers, and many more. 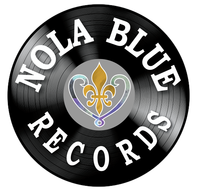 Recently signed to Whiskey Bayou Records, his debut album, “Burn It Down,” was produced and engineered by Tab Benoit. Following its release in October of 2017, Eric has been touring across the US supporting Benoit. TME.fm Radio the one that nobody listens to.